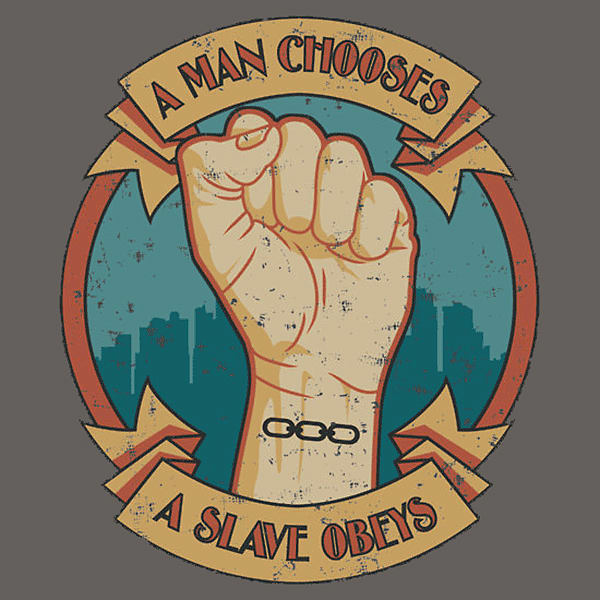 The only real power you have in life is to make your own decisions, only a slave obeys. 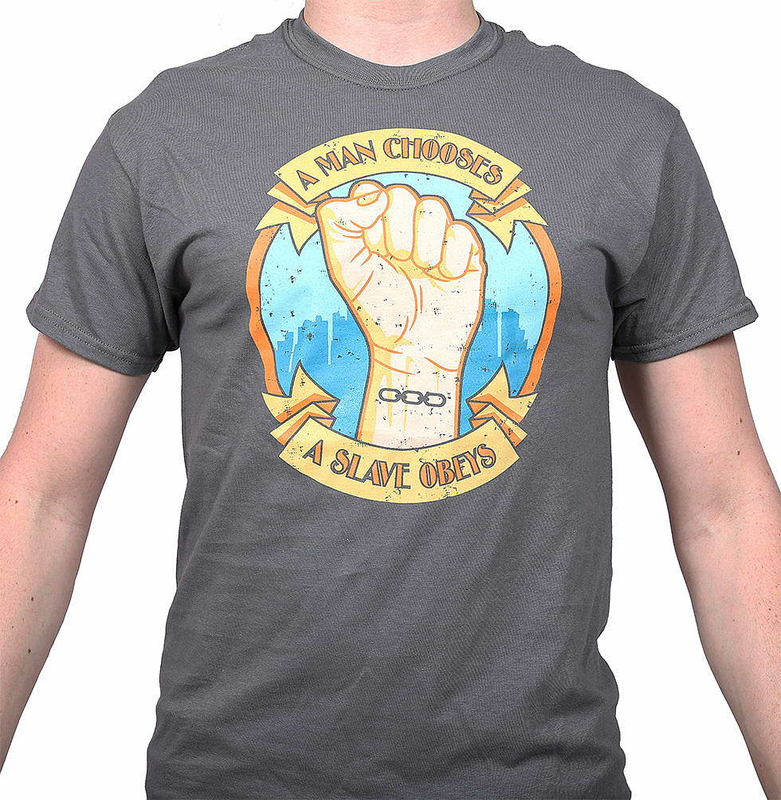 Remind yourself of this and help others with this beautifully printed Bioshock t-shirt. Now only one choice remains, would you kindly buy this t-shirt?